Autism Aspergers Friendship Society Of Calgary (AAFS), Autism Calgary Association (ACA), , Allies for Autism (AFA), and the Calgary Autism Community Network (ACN) are hosting a fun-filled World Autism Awareness Day celebration at the Eau Claire Market to raise awareness and acceptance, not just for kids but also adults on the Autism Spectrum . There will be entertainment, food vendors, bouncy house, AAFS Movie Project , a photo booth, and much more. The event is on April 2, 2019 from 11:00 AM – 2:00 PM. 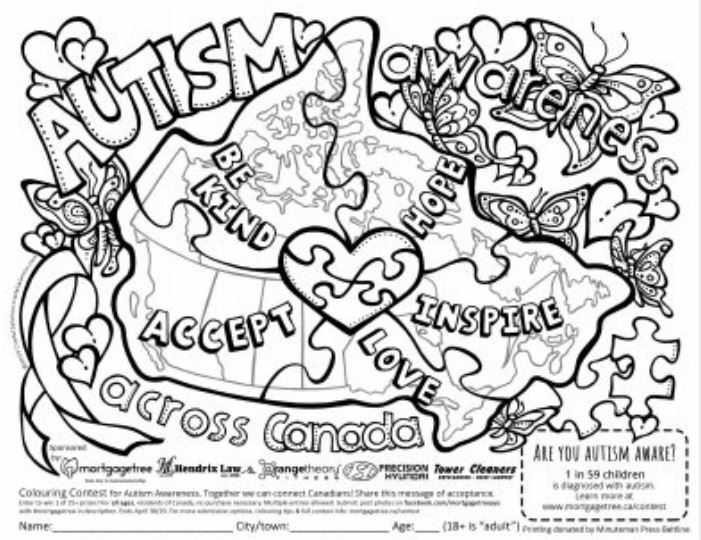 The Autism Awareness Coloring Contest is back! This fun contest exists to help raise awareness and funds for Autism Calgary. Click on the colouring page below to get involved!